VH-EBG carrying a fifth pod at Seattle in September 1959. VH-EBG was the last of the initial order for 7 Boeing 707-138 and the first to be delivered with a fifth pod. 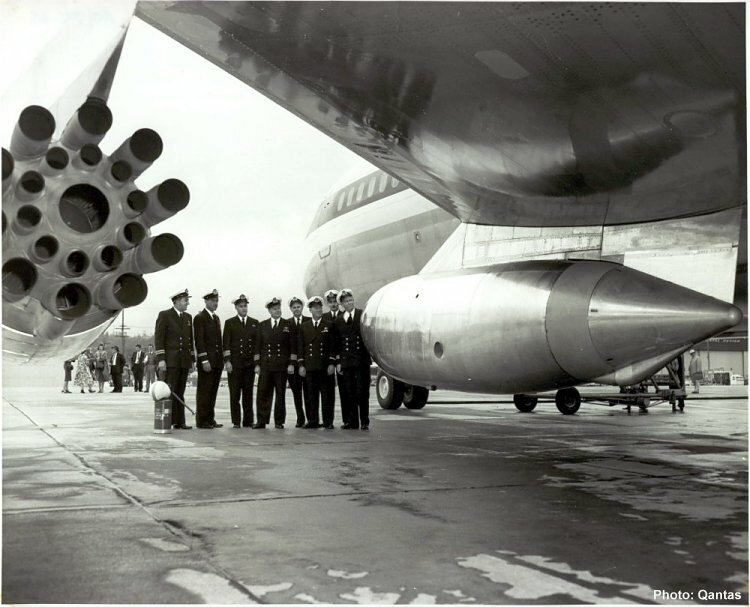 Note the early type noise suppressor fitted to the JT3C engines.